I love making bread. It makes the whole house smell delicious and the taste can’t be beat. 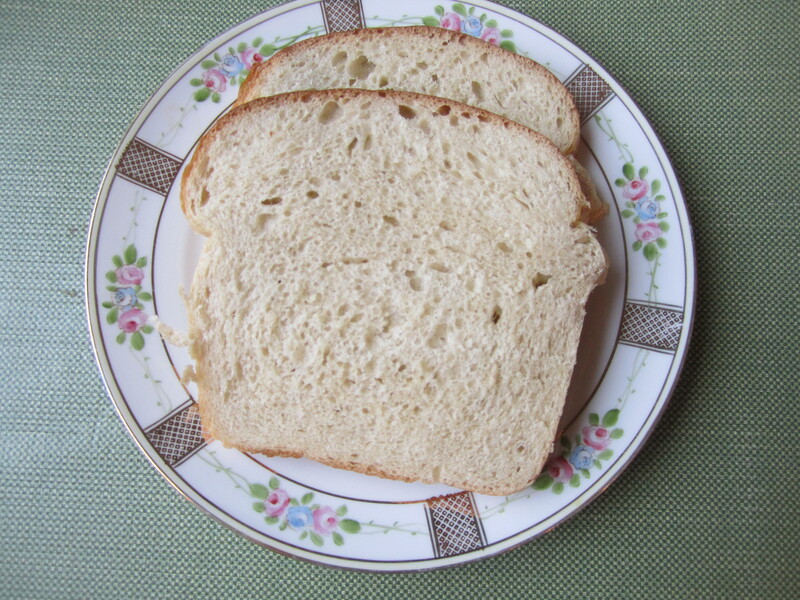 I started making this White Whole Wheat bread about a year ago. The best thing about the recipe is that it makes 3 loaves. If you are going to go to the trouble of making your own bread, you might as well make alot. And it freezes beautifully. 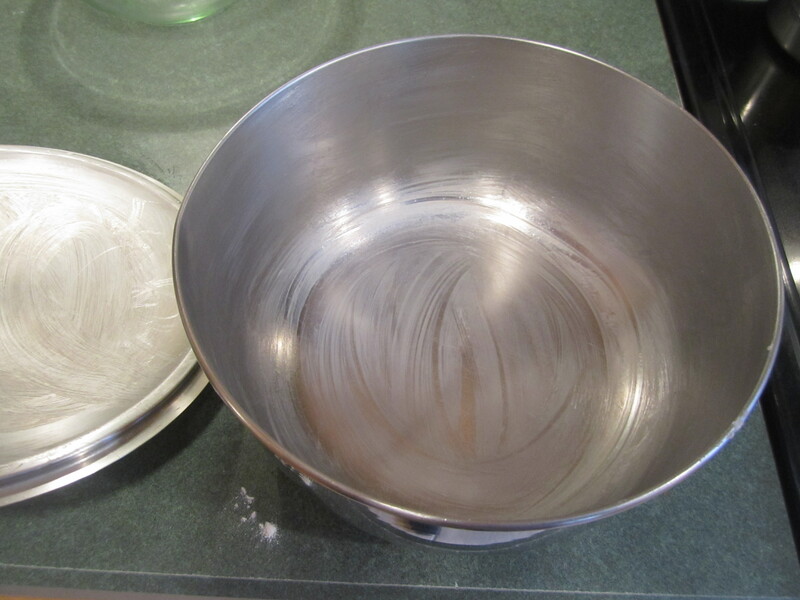 Coat a fairly large bowl with straight sides with butter. Coat the inside top from a pan, that will fit over the bowl, with butter. Put a cup of water on to boil. Put a 13 x 9 inch pan on the lower rack of your oven. 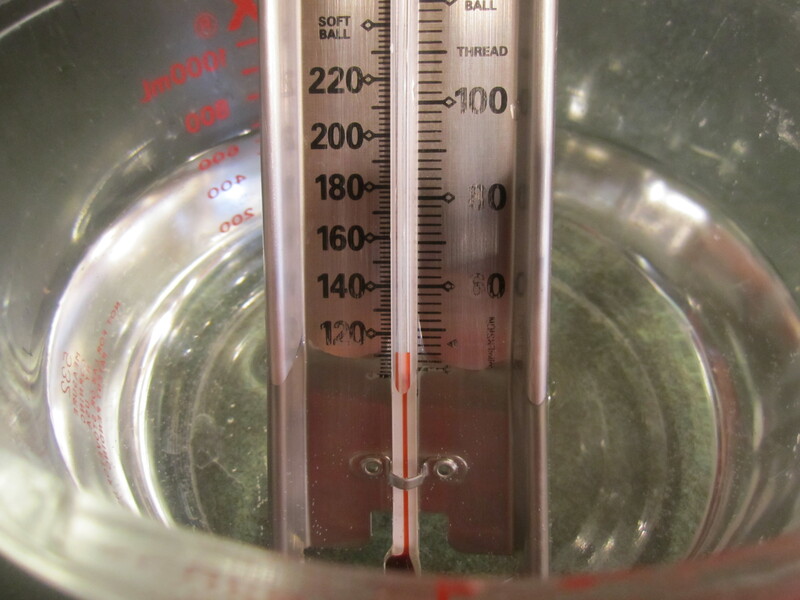 In the bowl of your stand mixer, place warm water (use a candy thermometer to get the correct temperature), yeast and 1/3 cup honey. 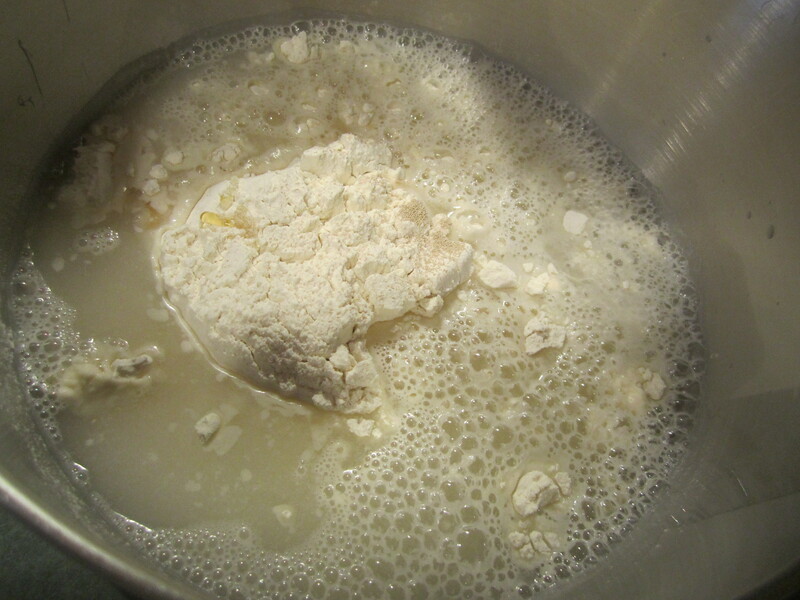 Add the 5 cups of bread flour and stir with the paddle attachment until combined. 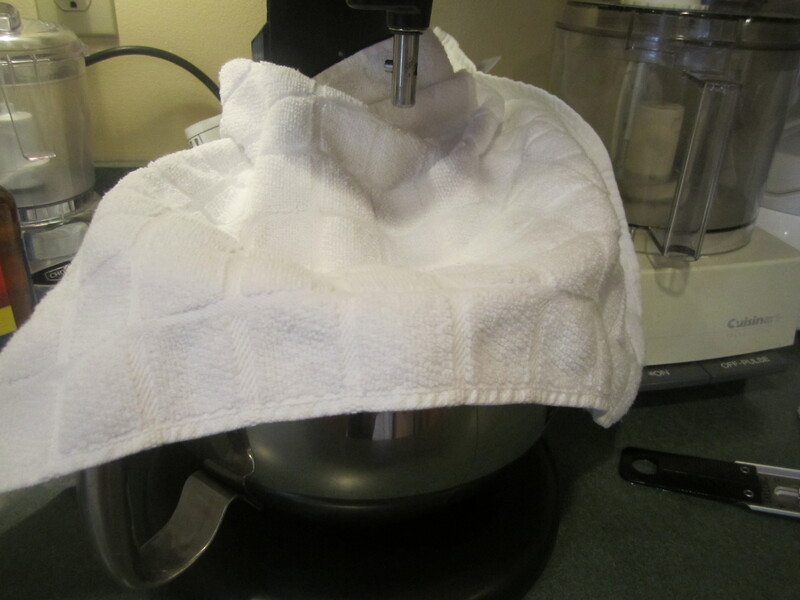 Remove paddle but not the bowl and cover bowl with a towel and let sit for 30 minutes. It will get bigger and bubbly. After 30 minutes, remove towel and put dough hook attachment on your machine. 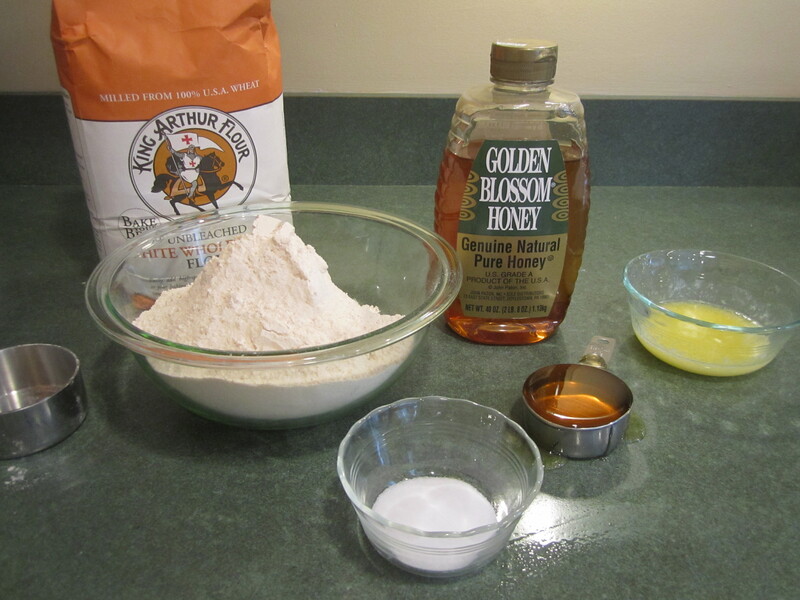 Add to the dough, 3 tablespoons of melted butter, 1/3 cup honey, salt and 2 cups of white whole wheat flour. 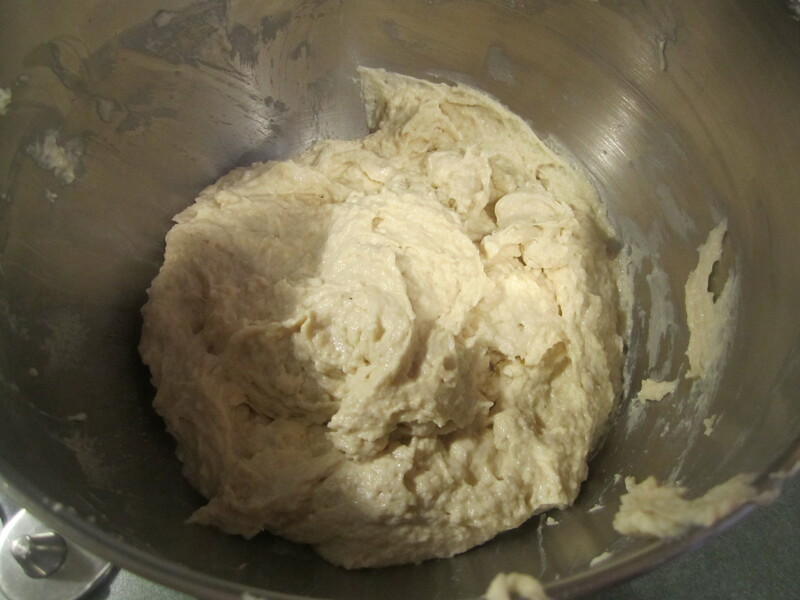 Mix with the dough hook for one minute until combined. Add 1 cup of white whole wheat flour and beat for 1-2 minutes. 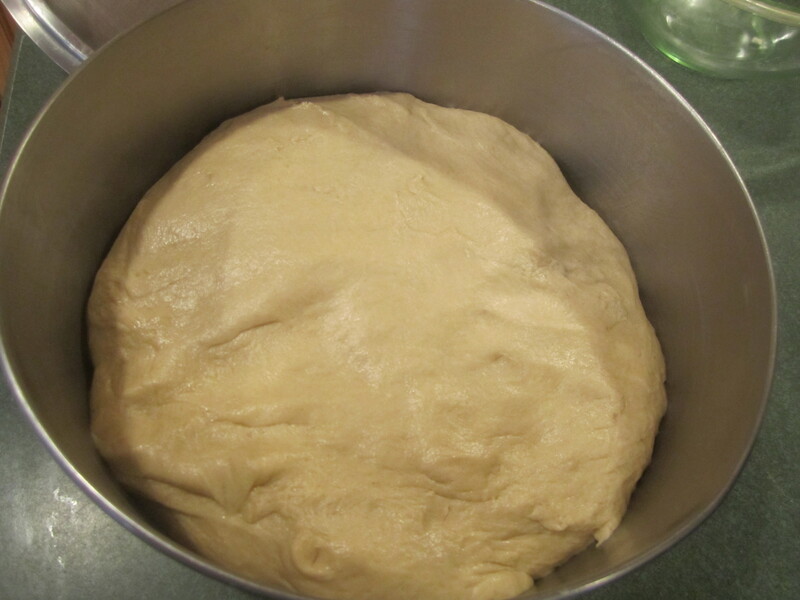 The dough should start pulling away from the sides of the bowl. If not add 1/2 cup of flour. Mix again for 2-3 minutes. The dough should still be somewhat sticky. Don’t fret over this too much. 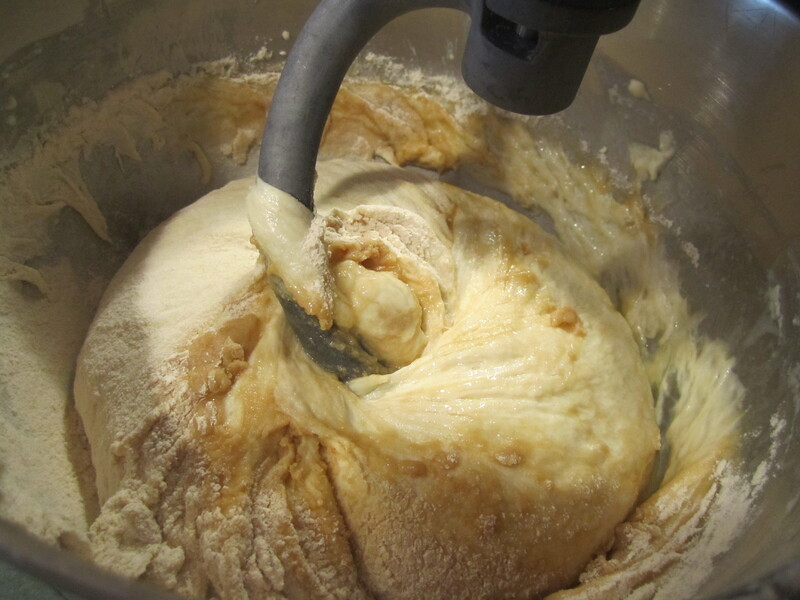 If this is your first time, you will begin to see, if you make bread again, how the dough should look and feel. I have pictures below that will help. If the dough seems too sticky, add a tablespoon of flour at a time until it gets to the right consistency. 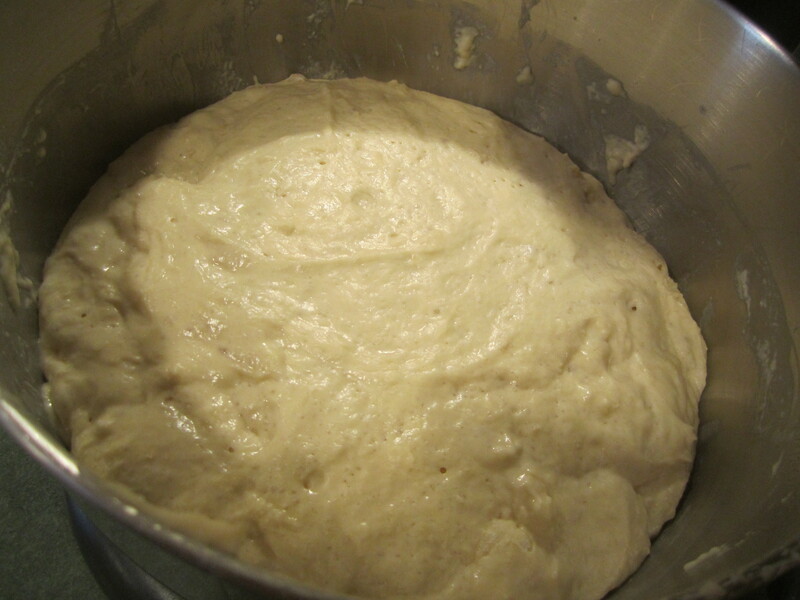 Place dough into prepared bowl, turning once to make sure the top is coated with butter too. Cover bowl with top from pan and place in middle rack of oven. 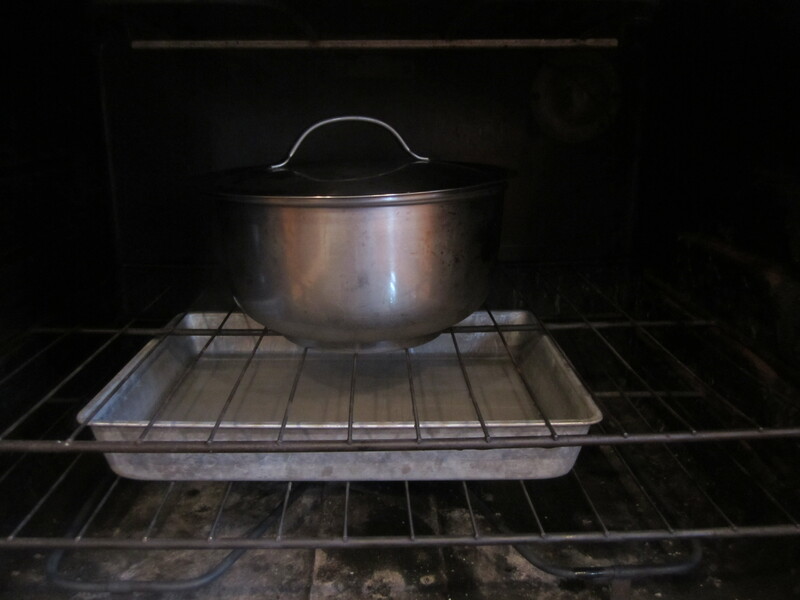 Put boiling water into 13 x 9 inch baking pan that is on lower rack of oven and close door. Let rise until doubled, about 1 hour. 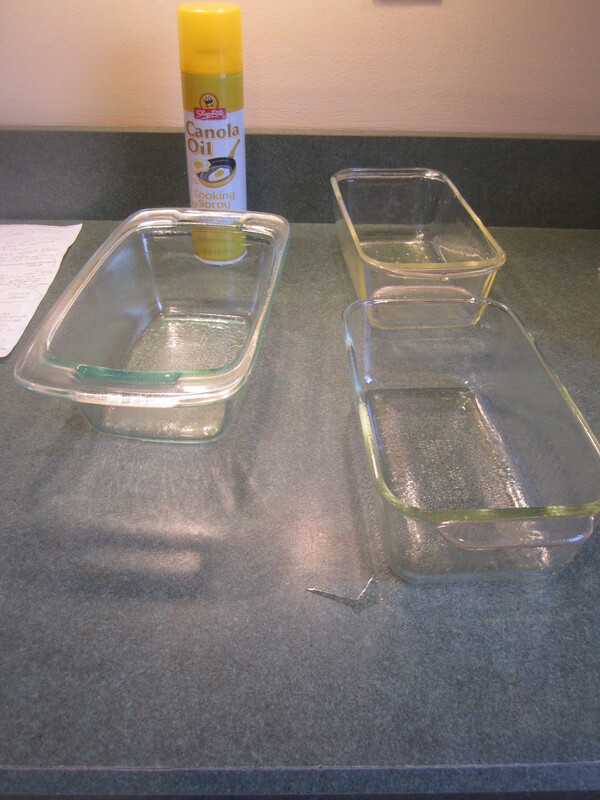 While dough is rising, spray 3, 9 x 5 inch loaf pans with canola oil. After 1 hour, remove dough from oven. Take baking pan out of oven. Preheat oven to 350 degrees. 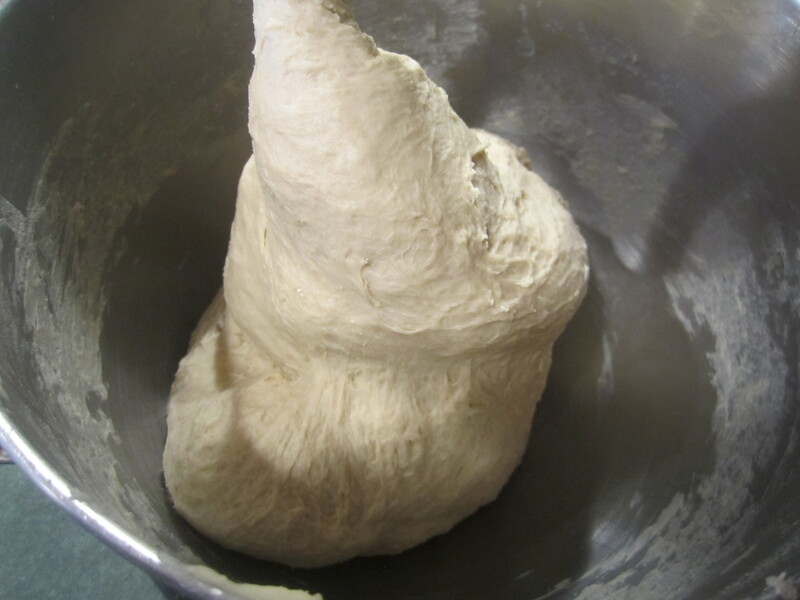 Punch down dough and divide dough into 3 pieces. I use my kitchen scale to get 3 equal pieces. 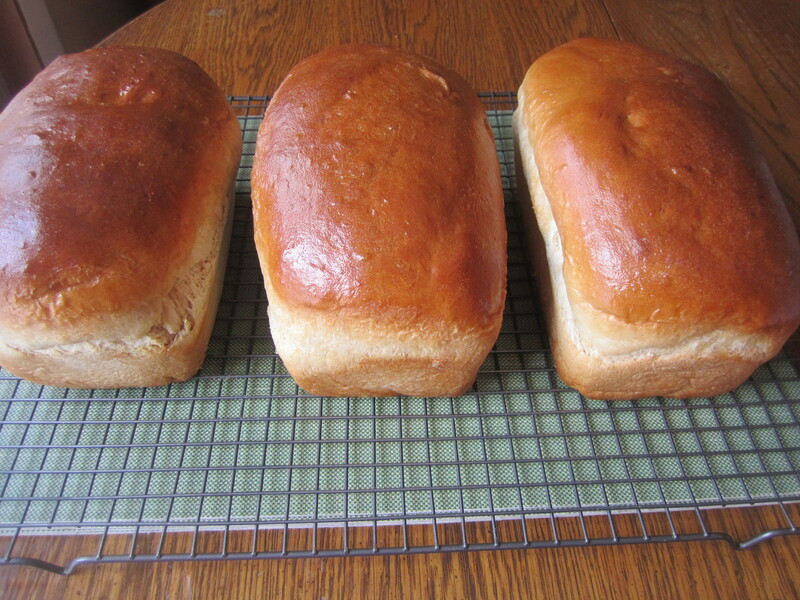 The bread will bake more evenly if the loaves are the same size. 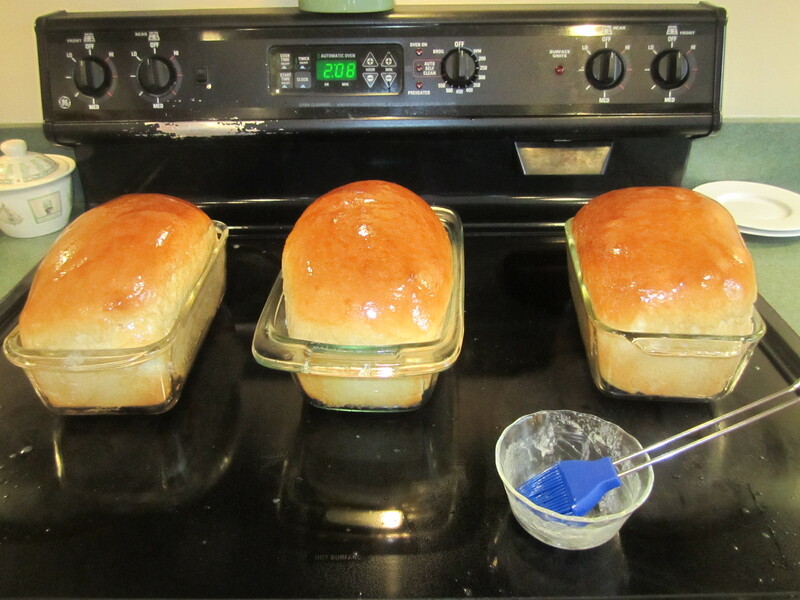 Smoosh each piece in your hands for about 30 seconds to get the bubbles out and then form into a loaf. 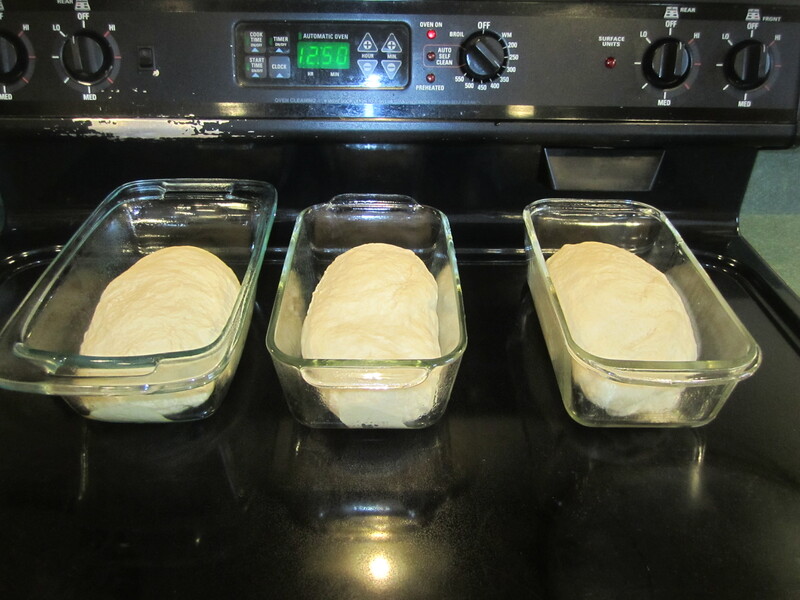 Place each loaf into prepared pans and let rise for about 50 to 55 minutes. 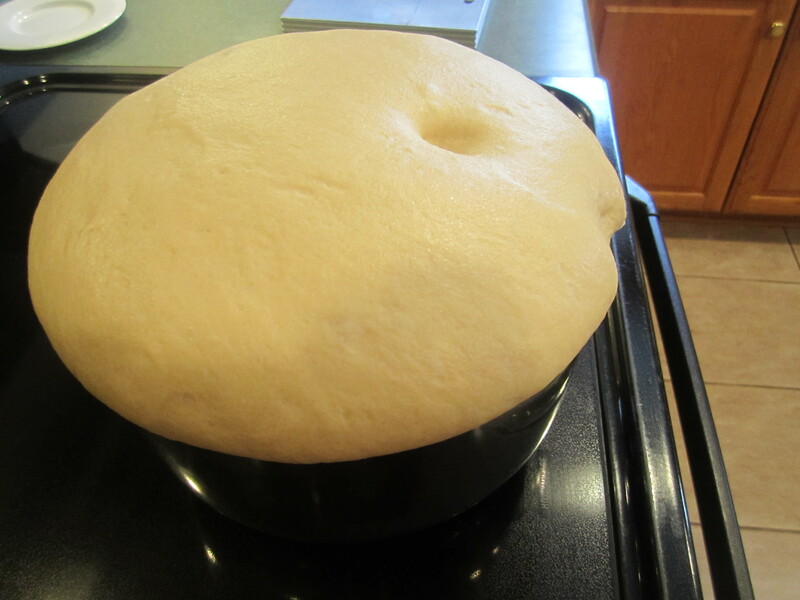 The dough should rise about 1 inch above the tops of the pan. 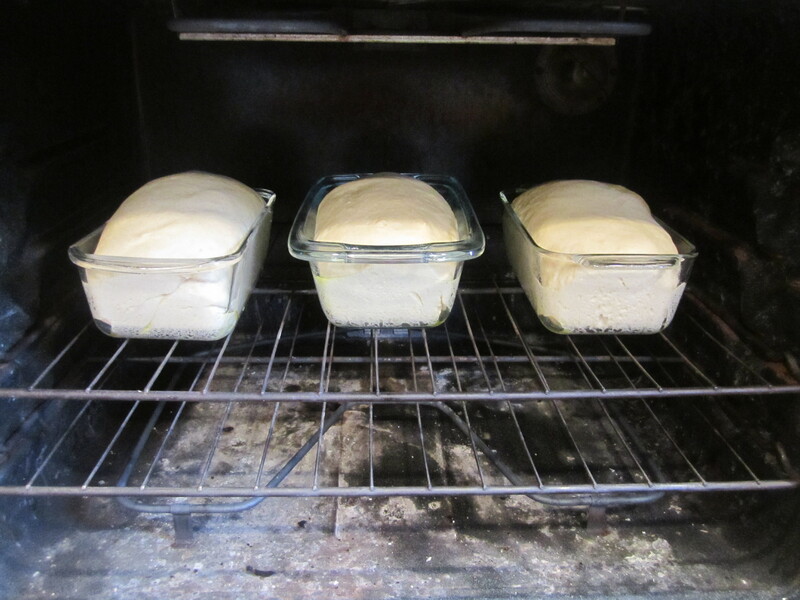 Place loaves in oven and bake for 25 minutes. The bread should be nicely browned and sound somewhat hollow when you tap on it. Remove bread from oven. 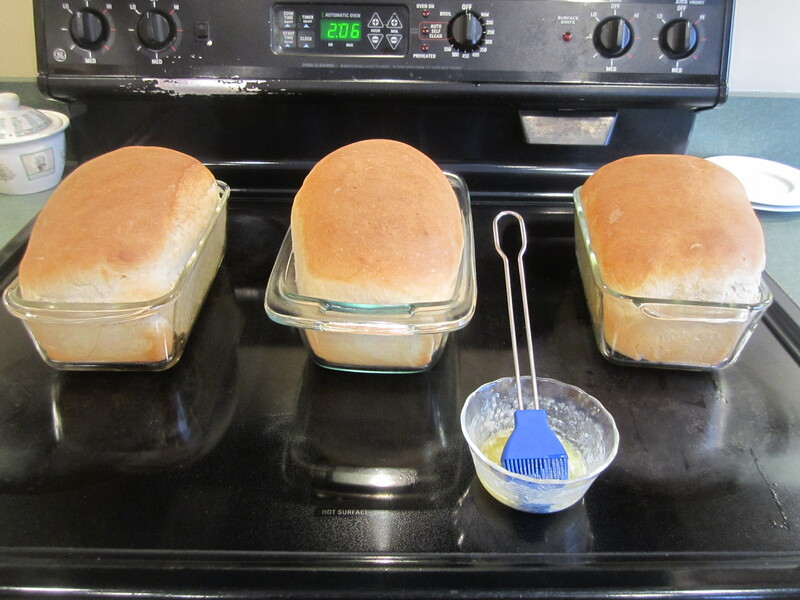 Brush each loaf with melted butter. This keeps the crust nice and soft. Cool for 30 minutes. Remove bread from pans and continue to cool on wire racks. 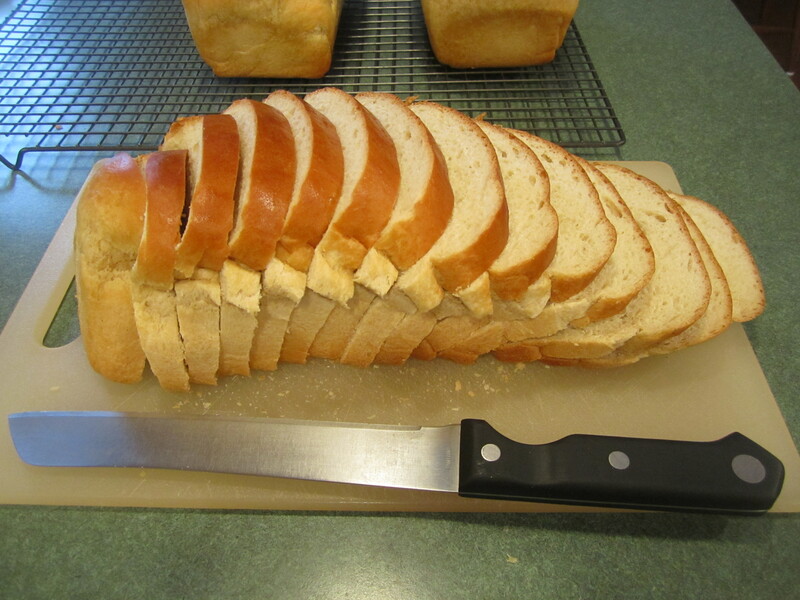 When completely cool, cut bread into slices. 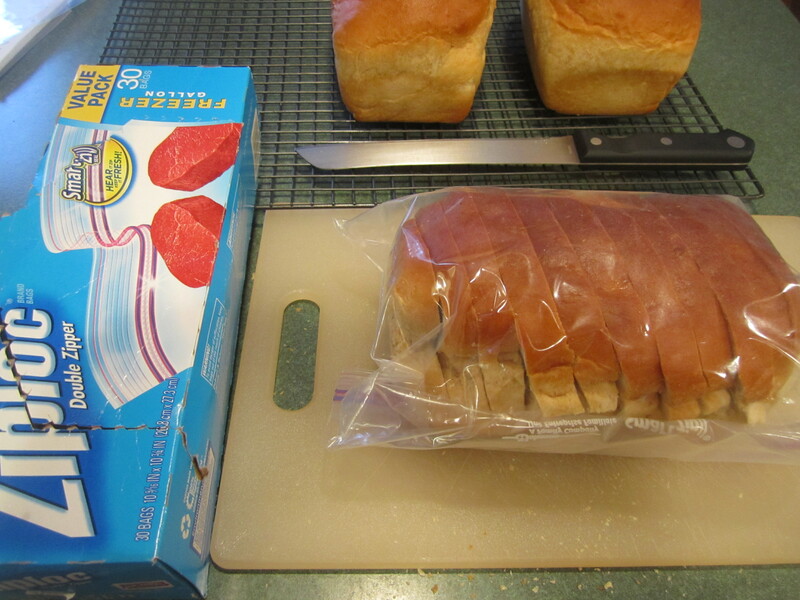 Place cut bread into freezer gallon bags and store in freezer. The bread is easy to pull apart when ready to use. 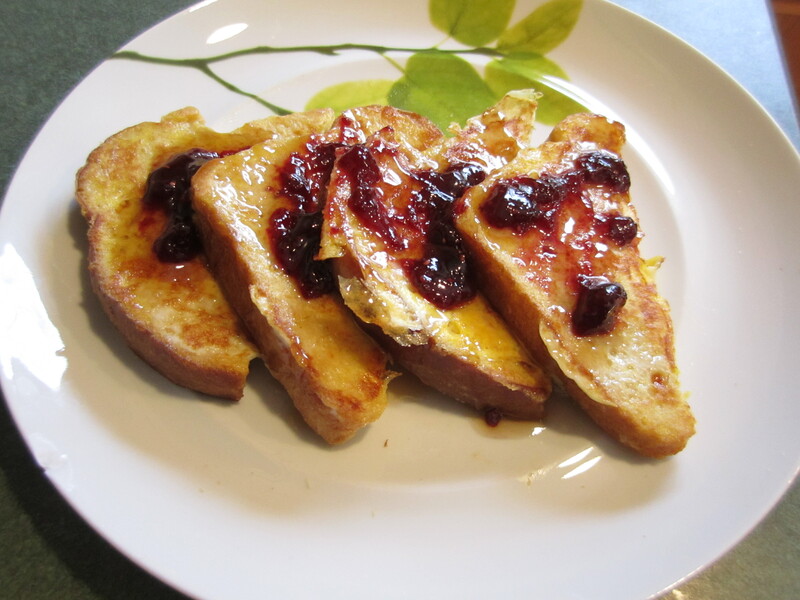 my husband made french toast out of the bread, delicious!